This post was sponsored by S&W Beans as part of an Influencer Activation for Influence Central. All opinions expressed in my post are my own. 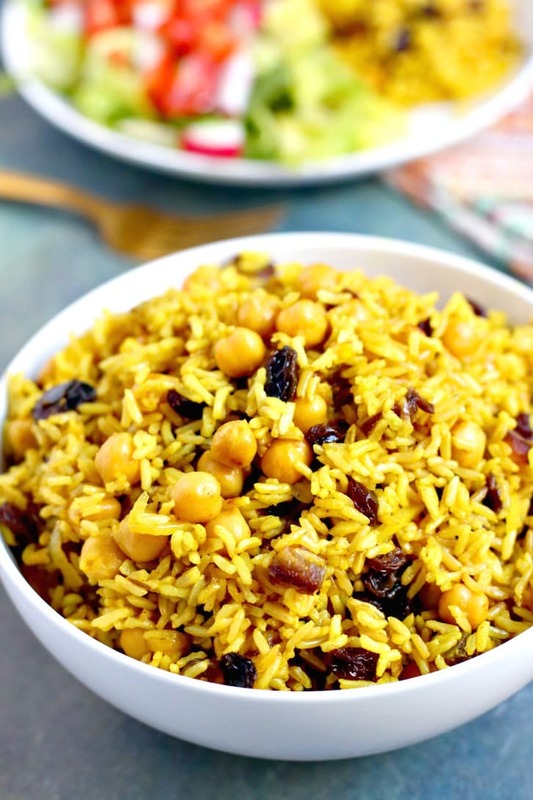 Basmati Rice Pilaf with Chickpeas and Dried Fruit is a quick and flavorful meal. It’s vegan and gluten-free and perfect any night of the week. Often I serve rice as a side dish, but there’s no reason it can’t be the star of the meal. That’s how I feel about this Basmati Rice Pilaf. It’s a complete main dish on its own. Add a simple green salad or Mediterranean Cucumber and Tomato Salad, and you’re good to go! 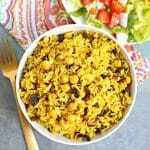 This recipe was inspired by rice dishes I’ve enjoyed at Middle Eastern restaurants. Growing up, my mom always kept a well-stocked pantry. There were at least two large shelves dedicated to canned goods, and I always noticed the wide selection of S&W Beans. She bought all the classics like chili beans, white beans, and kidney beans. And later when she was concerned about consuming excess sodium, she switched to the 50% Less Sodium Beans. While my personal choice are the Organic beans, you know whichever S&W products you purchase, the quality will be top notch. 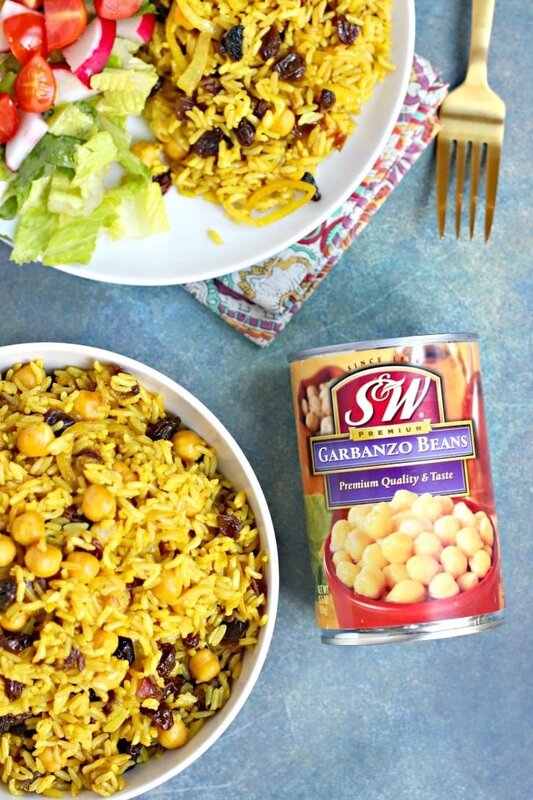 Check out the recipes you can make with S&W Beans, and be sure to download a coupon. 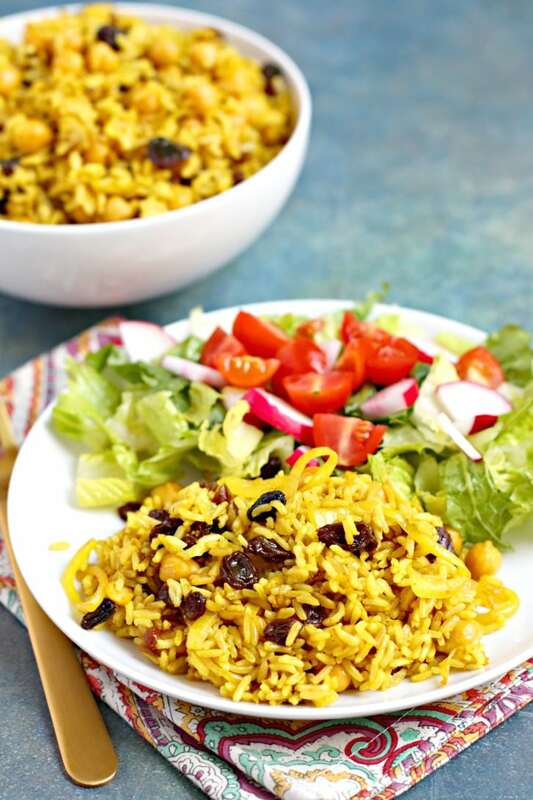 Basmati Rice Pilaf is made with either brown or white rice, onion, garbanzo beans, raisins, dates, and aromatic seasonings. I used brown basmati rice in this recipe, but it also works well with white. In fact, you can cook the rice however you prefer. I like to use my Instant Pot electric pressure cooker, but cooking it on the stove works perfectly fine. While the rice is cooking, I saute the onion until soft and lightly browned. You can either cook it with oil or use water if you are avoiding oil. Then I add turmeric, cinnamon, and ground cumin. Next the chickpeas, raisins, and dates are added to the mix. And finally the cooked basmati rice is folded into the fragrant mixture. Now let’s make Basmati Rice Pilaf with Chickpeas and Dried Fruit! 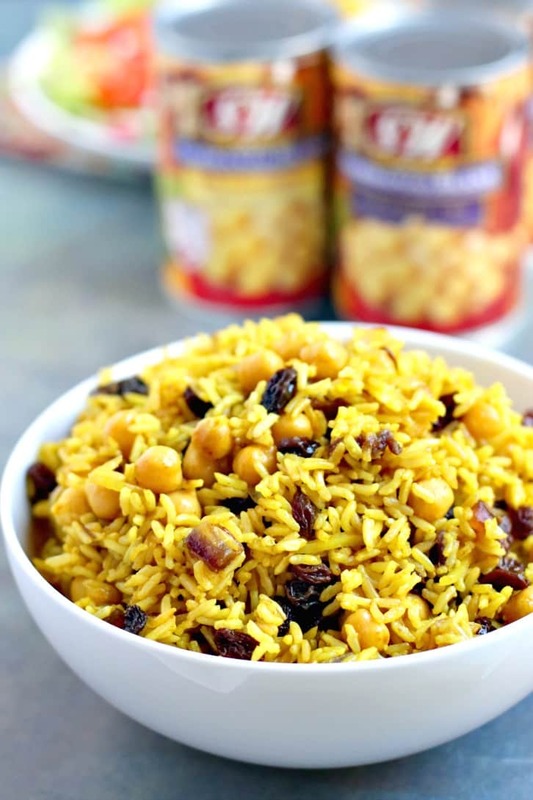 Basmati Rice Pilaf with Chickpeas and Dried Fruit is a quick and flavorful meal. It's vegan and gluten-free and perfect any night of the week. Serve this pilaf with a salad for a complete meal. Prepare the rice according to the package directions or your preferred method. Meanwhile, heat the olive oil (if using) or 2 Tablespoons of water in a large skillet over medium heat. Add the onion and saute until soft. Next add the turmeric, cinnamon, cumin, raisins, dates and garbanzo beans, and stir until well combined and heated through. Finally, add the cooked rice to the skillet and carefully fold in. Taste and add salt and pepper, if desired. That’s a great question! It’s two cups of uncooked rice. Thank you, Aimee!